This type of retouching is useful for modifying a specific area of the image. This tool is ideal for applying a linear gradient filter between a starting point and an end point. This tool is ideal for applying a circular gradient filter between a starting point and an end point. This tool is ideal for defining a custom selection with the paintbrush and applying certain settings to it. 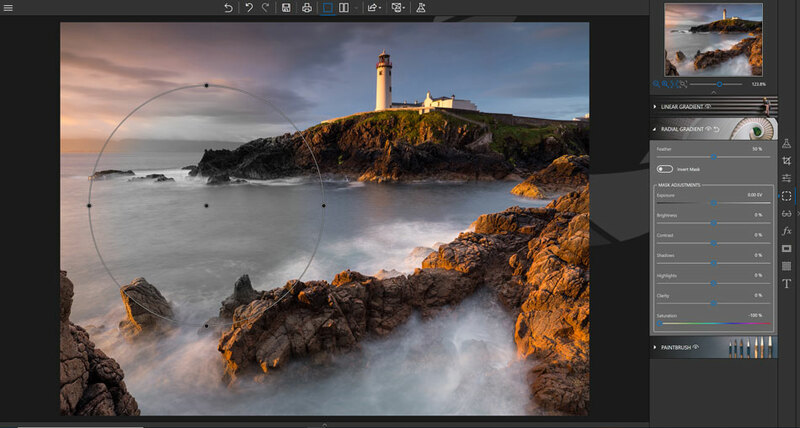 Adjust the sliders on the different toolbars to optimize the retouching with the paintbrush. If need be, select the Eraser icon to correct your selection. Remark: You can define several local corrections on the same photo. 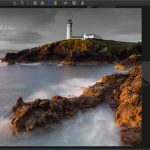 Combine several settings with the paintbrush or combine different types of selective retouching to create and retouch your photos as much as you like.